Catholics in the Boston area have tuned in to their local Catholic cable channel since the early 1980s to view the weekly Perpetual Help Novena from the Redemptorists’ Basilica of Our Lady of Perpetual Help. Since 2009, the novena has also been featured here on redemptorists.net. 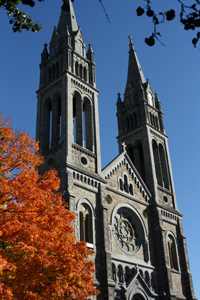 During the month of March, Boston’s CatholicTV features Mission Church, as the basilica is commonly known, in its monthly program guide. Fr. Philip Dabney, who leads the novena services, was recently interviewed on the channel’s "This is the Day" program (interview begins at 19:30).